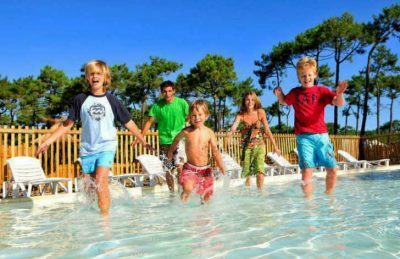 Campeole les Tourterelles campsite occupies a wonderful position in the heart of the Landes forest that lies along the Atlantic coastline. Set within 20 hectares of wooded grounds the campsite is perfect for those looking to get away from it all whilst still being close to enough to all the places you may wish to visit. 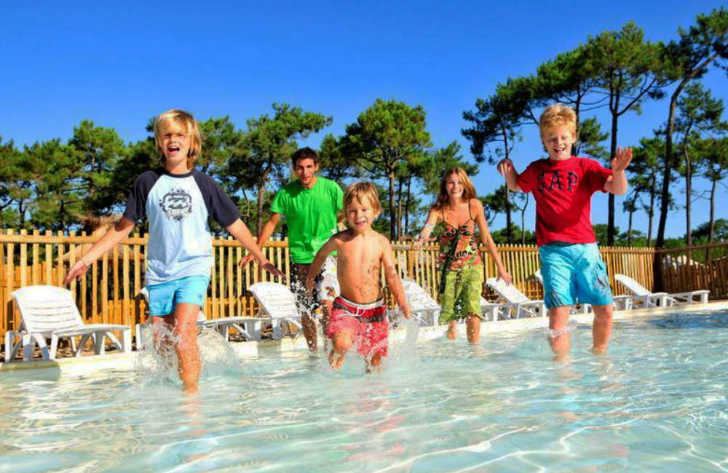 Perfect for family holidays, Campeole les Tourterelles boasts a whole range of activities both on-site and nearby. The surrounding woodland is perfect for getting back to nature with lots of walking and cycling tracks and trails, whilst the nearby beach provides you with a great place to have fun and soak up the rays of the summer sun. The nearest beach to Campeole les Tourterelles is at Saint-Girons-Plage. Direct access along a track through the woods leads you to this fantastic beach which is both wide and long. Covered in sand and stretching out for miles in either direction, the beach is the perfect place for a family day out with lots of space to swim, play and sunbathe. At the back of the beach you’ll also find a number of shops and places to get something to eat or drink. If you’re more of a pool person then you’ll be pleased to know that there’s a lovely swimming pool complex on site at Campeole les Tourterelles. A heated family pool, children’s pool and plenty of sun terrace will ensure you have a lovely time. On-site activities at Campeole les Tourterelles include multisports field, football, basketball, playground, volleyball, boules, table tennis, archery and cycle hire. This pitch only campsite is perfect for campers with tents, caravans and / or motorhomes. Facilities include: WIFI, restaurant, takeaway, bar, pizzeria, groceries, games room, animation team, refrigerator rental, safe rental, washers, dryers, laundry sinks, washing up sinks, ironing facilities, washbasins, individual wash cabins, showers, standard toilets, baby room, children’s sanitary facilities and chemical toilet disposal points. The camping pitches at Campeole les Tourterelles are around 80m to 100m2 in size, have an electrical connection and benefit from a shady position. Click the button below to book a camping pitch at Campeole les Tourterelles with our travel partner, Suncamp.